Today's Moment of Muppet | The Muppets do Yoda! It may seem strange, as the two have little resemblance to one another, but one of the biggest inspirations for The Riyria Revelations was Babylon 5, a science fiction television series that ran in the mid 1990’s. The creator, J. Michael Straczynski, planned out a five-year story arc. My favorite episodes were the ones that peeled back the veil just a bit…when I got a glimpse of something larger lurking just out of sight. While I loved the characters, and enjoyed each episode on its own merits, it was the promise of a defined plan that really kept me riveted. My story was constructed in much the same way—as a series from day one. I had designed it to be six-books, each with their own conflict and resolution, but existing within the context of a much broader story arc. The idea of interweaving on-going threads throughout the entire series was really the thing that interested me the most. I love being able to drop hints or clues to mysteries that build over time and knowing with certainty that everything will come together when all is said and done. Not to offend those that loved the series Lost but for me it lived up to its namesake as I felt lost the longer it went on. Originally it had looked like it was following the blue print to some grand plan, and again I enjoyed trying to put the pieces together. From my perspective it went off the rails along the way. Key elements seemed to be completely forgotten and the series pursued various tangents that seemed lacking in continuity to what had come previously. I never followed the behind the scenes story about the series, so I have no idea what went on. It could be that the original writers quit (or where fired), or that they only had material for a certain number of episodes and then started “winging it,” but whatever the reason the seeming lack of direction made me lose interest and I quit watching. 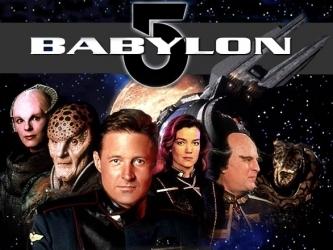 The contrast between Babylon 5 and Lost pretty much crystallizes for me the difference between sequels and a series, and I’m a huge fan of the later. Of course writing a series is A LOT of work and comes with a pretty high risk factor. Straczynski built in alternate story lines that would trigger if an actor left the series abruptly. For me, it could mean spending years on something that might never see the light of day. Or worse yet, if by some miracle I could find a publisher, I would have to live in fear that the series would underperform and be prematurely cancelled—the complete vision never fully realized. 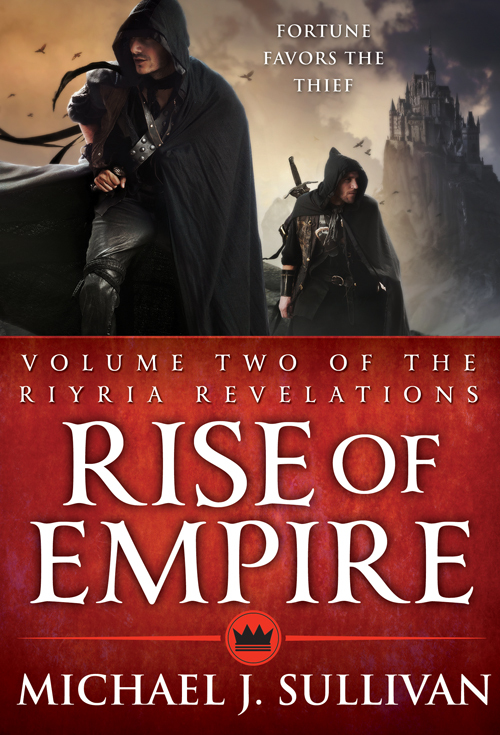 But I had an ace up my sleeve…I had no intention of publishing The Riyria Revelations. You see, after more than a decade of trying, I had given up on my dream of becoming an author. I had written thirteen novels, and when I got nowhere with them I decided to stop my exercise in futility and quit. When I started writing again (a decade later), I had decided to do so just for myself, my daughter, and my wife. I planned to show Riyria to just a few close friends. I knew the whole story would be told because I was in complete control, and as for the books being “out there,” well I already knew that wasn’t a possibility. Approaching the series from this perspective was actually quite liberating. 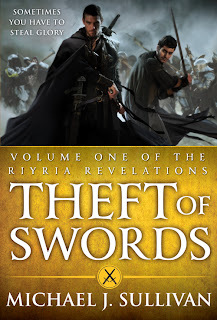 All told I spent four years writing (and another three editing) the 685,000 words that became The Riyria Revelations. Eventually my wife decided to try to climb the publishing mountain on the series’ behalf. I held little hope that she would succeed, but if it made her happy to try, who was I to stand in the way. By the time she started I was well into the fourth novel, and when it became apparent she wasn’t going to give up, I had to step up my game to ensure that I finished the last book before the first one hit the market. I succeeded, although just barely. I finished Percepliquis (Book #6) in August 2008 just two months before the October publication of The Crown Conspiracy by a small press, Aspirations Media Incorporated. My anxiety about finishing stemmed from the fact that sometimes I went back and added or removed something from early books when I was writing later ones. While many of the individual episodes tell fairly simple tales, the overarching plotline is actually quite complex. Even though I was working from a grand plan, the writing process sometimes opens up new opportunities that are even better than the original concept. I was able to take full advantage these serendipitous discoveries because I could make tweaks here or there. Having written Riyria the way I did, I find that I’m spoiled. I have a few other projects I’m working on and each one tends to be in the same multi-story vein. I can’t imagine putting them out one at a time as they are written, but now that I do have stuff “out there” can I really disappear for the long stretches required to write the whole thing up front? I don’t know. I’m still trying to determine that. But if I can, then the books can come out in quick succession once they do start showing up. In addition, people can start the series with the knowledge that there is a definite endpoint. And if the series is dropped…well I already know how to successfully self-publish. So there you have it, my take on series verses sequels. For some it might not matter which way the books are created, but for me it just brings a whole additional dimension to the story telling that I would hate to give up. To me, books written as a series are more participatory. I really like the reader being able to speculate where the story is going and being just one step ahead of them along the way. I hope you’ll give The Riyria Revelations a try. Having a well planned story arc allowed me to take the books in some pretty unexpected places, and things are not always what they appear to be. In many ways the jury is still out on whether I accomplished what I set out for…it won’t be until January when Heir of Novron and Percepliquis are released that people will be able to judge the work in its entirety. By that time it will have been twenty-one years since I first started thinking about the story and eight years since I started writing. That’s a long time to wait and I’m dying for feedback. So please drop me a line and let me know what you think. My email is in michael dot sullivan dot dc at gmail.com. I’d love to hear what you think. And I’d like to once again thank the other Michael for the opportunity to give a little behind the scenes look into why I wrote as I did. I had a blast both in writing the series and this post. 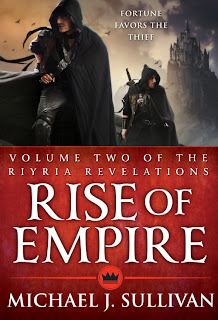 Michael J. Sullivan has written for twenty years and had completed thirteen full-length novels before starting on his critically acclaimed Riyria Revelations. Conceived as a single tale split among six self-contained books, the entire series was written before the first one was released. The series was designed like a television series where a single story arc would span a season while each week an individual episode would be revealed. Michael has since sold this series to Orbit books who will be re-releasing the six-volumes as 3 2-book Omnibus editions starting with Theft of Swords in November. 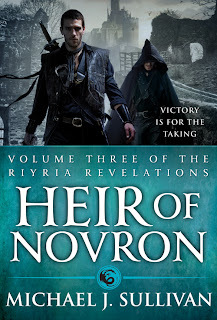 Michael recently released a free short story, prequel to the Riyria Revelations, and is at work on a modern day fantasy, as well as a literary fiction piece.